Mother's Day is right around the corner. Celebrate this year by treating your mom to something special. Whether it's a luxurious day relaxing at the spa, indulging in a revitalizing massage or taking her out for a special lunch or dinner in an award- winning restaurant, reward that special lady in your life with the perfect Mother's Day treat she absolutely deserves. 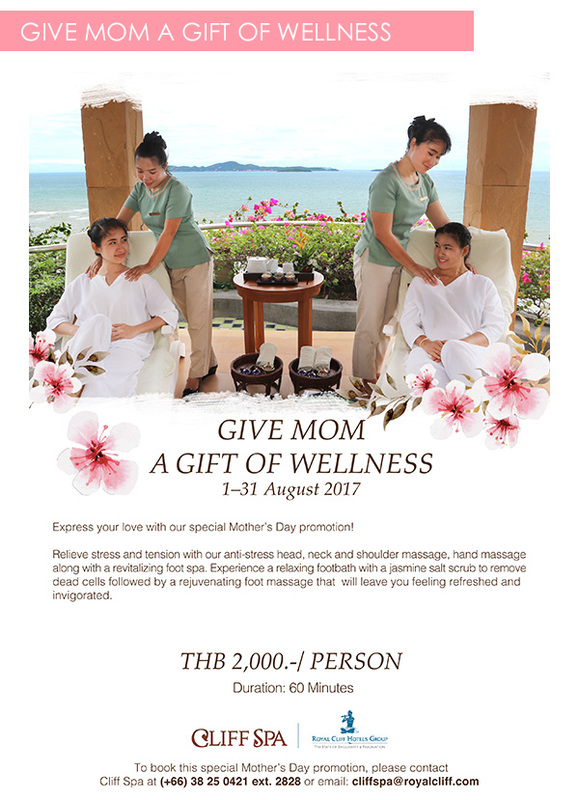 For more information, please contact Guest Relations at Tel: (+66) 250421 Ext 2037 or email: gro-main@royalcliff.com. 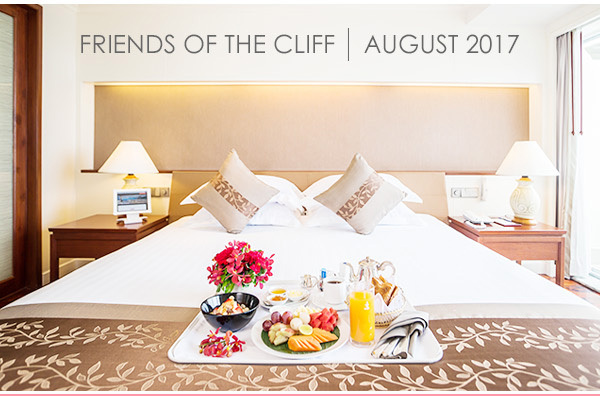 We look forward to see you and your family at the Royal Cliff Hotels Group soon! Show your mom that she's one of a kind with an unforgettable dining experience at any of our 5 award-winning restaurants from 12-14 August 2017. Exclusively available from 12-14 August 2016, enjoy 20% off on a luxurious relaxing treatment of your choice (excluding packages and promotions). 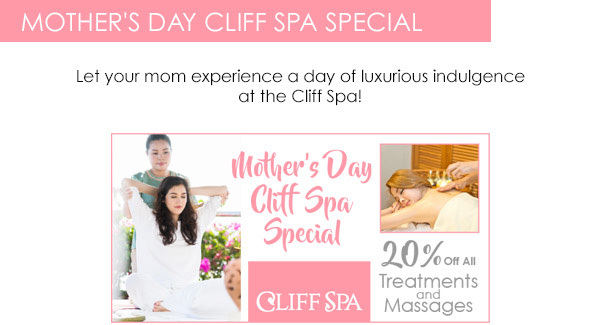 For more information, please call the Cliff Spa at Ext: 2828, 2829 or email cliffspa@royalcliff.com. Looking for a great place to work out? Look no further! 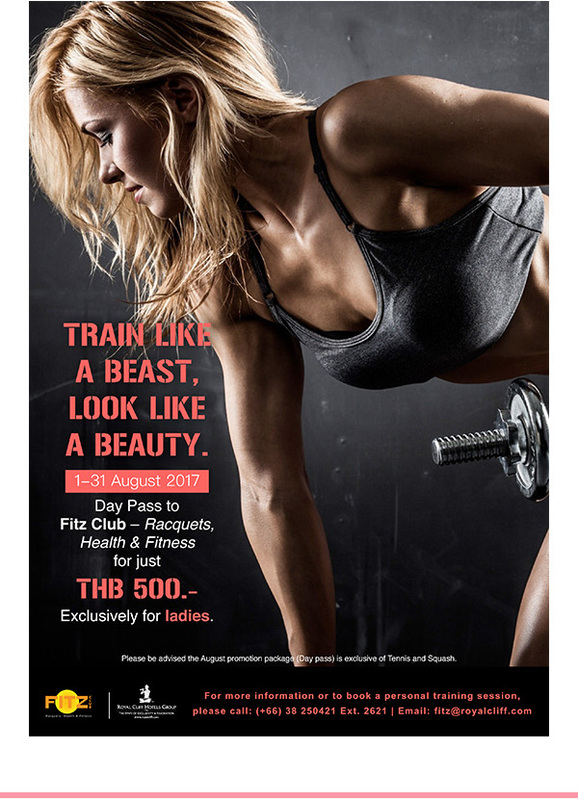 Try out the wide range of facilities at FITZ Club – Racquets, Health & Fitness this August and get a special one day pass for only THB 500!